This publication comprises the presentations made at the NATO Advanced Research Workshop held in Sinaia, Romania 9 - 11 October, 2006. 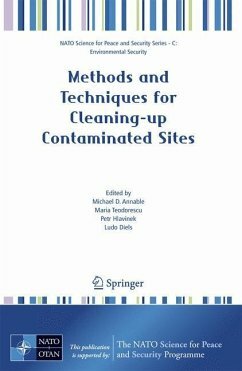 The contributions represent a unique cross section of issues and challenges related to contaminated site management. These range from low cost solutions to petroleum contaminated sites to advances in biological treatment methods. The publication is meant to foster links between groups facing challenges cleaning up contaminated sites.